Two storied townhouse in a fantastic location with two bathrooms and three bedrooms. This house is perfectly located for walking access to the town shops and the lakefront. 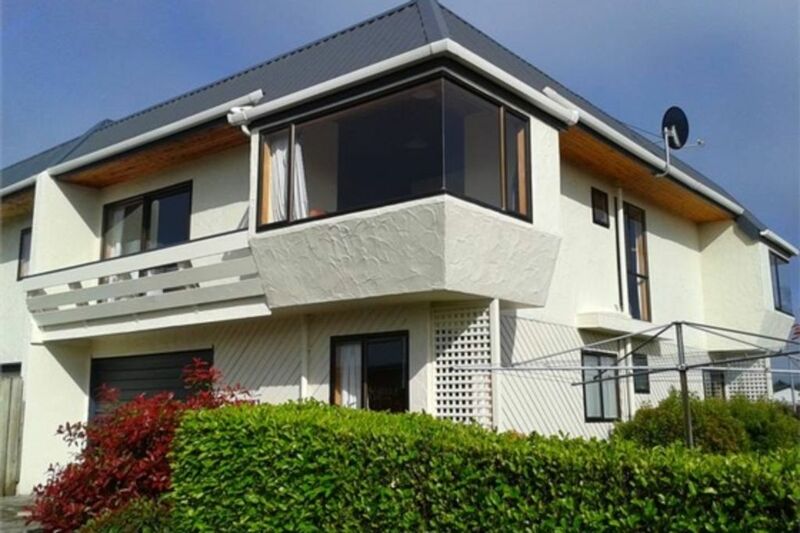 It is a very sunny two storied townhouse with a conservatory corner in the lounge which is the perfect place to watch the sun setting below the Kepler Mountain range. With three queen bedrooms and two single beds in the downstairs bedrooms as well, this home suits everyone. It has new carpet, new bathroom downstairs and has a barbeque for those summer evenings located in the garage. On those chilly evenings there is a yunca fire upstairs - with plenty of firewood supplied. There are also heaters in the downstairs bedrooms. It has open plan living and dining - with plenty of space in the lounge with a flat screen TV. The house has two small decks - one on the eastern side for the morning sun and the other on the western side for those spectacular sunsets. There is off street parking available for two vehicles and boat parking available either on the street or on the lawn inside the property. This house is perfect for families or couples - it really is a good spot - perfect location - just five minutes flat walk to town and has lovely views of the surrounding mountains. Warm house that gets plenty of sun all day and free Wifi available to use! First, the description given on the website is totally accurate. However, there are too many things about the accommodation that were frustrating - some I believe we’re due to poor cleaning like dirty dishes, carpet not very clean, coffee/tea/sugar nearly gone, no milk. Good things - fireplace ( but no matches); clothes washer; nice bedding; wifi. Not so good things - no hair dryer, poor lighting in kitchen, no light in fridge, bathroom door off rail, no instructions for fireplace or heaters, garden needing attention. Karen left a nice note welcoming us and asking us to contact her is we needed to, but didn’t leave any contact details. Overall, the place is tired and could use some tlc. Comparing to other places, we felt it wasn’t value for money. Sorry Karen, but I’m only being honest and just hope these comments help. Kitchen utensils bit stained, roster & barbeque not cleaned for while.. we were not able use it.. rest of the house is very clean..
Good clean and spacious house. Great location for town centre. We had a 3year old and a1 year old and found the steep stair hazardous for them. The stair barrier was flimsy and would not fit securely because the stair bannister moved. On moving a couch to block the stair off we found that the floor underneath was very dusty. This was also the case under the beds when we checked to ensure we were not leaving anything behind. A good thorough clean is overdue.